“I know your deeds, that you are neither cold nor hot; I wish that you were cold or hot. So because you are lukewarm, and neither hot nor cold, I will spit you out of My mouth” (Rev 3:15-16). The concern of this writer is that those who are involved in the Evangelical Climate Initiative are becoming “cold” to proclaiming the Gospel and are seeking to make “disciples” by proclaiming temporal, planetary issues to be more important - which are actually fabrications - than eternal issues such as the destiny of the souls of human beings. The majority of environmental policies are based upon myths. Only four of the most common will be addressed in this article. The first myth is that scientists agree that the Earth is warming. Ground-level temperature measurements seem to indicate that the Earth has warmed between 0.3 and 0.6 degrees Celsius since 1850. Global satellite data, however, is the most reliable of climate measurements, and it has not demonstrated any evidence of warming since 1979. Moreover, even if the Earth’s temperature increased slightly, such an increase is within the natural range of known temperature variation for the past thousand years. Actually, the earth experienced greater warming between the 10th and 15th centuries (viz. “the medieval warm period”); this period was a time of unusually warm weather that began approximately AD 1000 and continued until a cold period known as the “Little Ice Age” appeared in the 14th and 15th centuries. A warmer climate resulted in a remarkable increase of prosperity, knowledge, and art to Europe. Agriculture thrived as the temperature increased. Marshes and swamps were dry, which eliminated the breeding of mosquitoes that spread malaria. Former wetlands were converted to productive farmland. Infant mortality decreased, and the population increased. From the 12th to the 14th centuries, the population of Europe increased from approximately 40 to 60 million. Between the 10th and 15th centuries, vineyards thrived in England, and Vikings from Iceland colonized Greenland and built settlements in Canada. The Greenland settlements reached a height of prosperity in the 12th and 13th centuries, when 3,000 colonists occupied 280 farms. The settlements experienced difficulty in the late 14th century as a consequence of the beginning of “Little Ice Age” cooling; they finally perished in the 15th century. The warming that humanity is experiencing today is simply the result of emergence from the “Little Ice Age” (which was close to the time of the founding of our nation). The existence of the medieval warm period was recognized in the climate textbooks for decades. It is, however, a major embarrassment to those maintaining that 20th and 21st century warming is indeed abnormal. In 1998, Michael Mann (an American physicist and climatologist, who is currently director of the Earth System Science Center at Pennsylvania State University) “reworked” the temperature data (what is called “the Hockey Stick” in scientific circles due to its shape), and contradicted the immense majority of historical sources with regard to the medieval warm period. The Clinton administration, which was probably significantly influenced by Vice President Gore, used Mann’s modified graph for the United States climate assessment report in 2000. Mann was named as a lead author of the next Intergovernmental Panel on Climate Change (IPCC) report published in 2001 and an editor of The Journal of Climate. However, two Canadian statisticians - Stephen McIntyre and Ross McKitrick - were persistent in their demands to examine the data Mann used. Eventually and quite reluctantly, it was provided. They discovered and subsequently published a remarkable critique that faulted the Hockey Stick analysis for collation errors, unjustifiable truncation or extrapolation of source data, obsolete data, geographical location errors, and incorrect calculation of principle components. The irony of global warming scare tactics is that a slightly warmer climate with an increase in carbon dioxide is in several manners beneficial to the earth, as opposed to being damaging. Economic studies have demonstrated that moderate warming and higher carbon dioxide levels will increase the total value of all final goods and services (GNP), and will increase standards of living, primarily by improving agriculture and forestry. 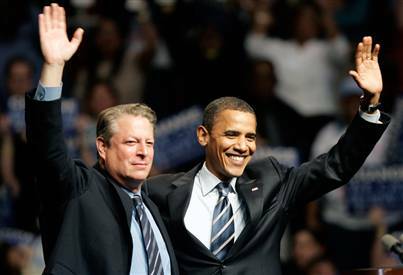 Obviously, Al Gore’s An Inconvenient Truth did not indicate any of these advantages. Homes in the north could have heating fuel savings. Farmers in Canada could harvest bumper crops. Greenland could become richly supplied in cod and oil riches. Shippers could rely upon an Arctic shortcut between the Atlantic and the Pacific. Forests could expand. Mongolia could become a powerful nation economically. Please note that the word “could” has been employed toward possible benefits, which means this author is expressing possibilities; however, the point is that there may be future benefits for frigid regions of Canada and Russia (i.e., not that challenges in those countries will be eradicated, but the gains, especially in agriculture, could be greater than the losses). Economics professor Robert O. Mendelsohn of the Yale School of Forestry and Environmental Studies, studied how various warming scenarios from now until 2100 could affect the gross domestic product. The conclusion of his research is that Canada and Russia could have tremendous advantages, in addition to northern Europe and Mongolia, primarily as a result of projected increases in agricultural production. Global climate was drastically changed in the Fall and the Flood - two of the three greatest ecological acts in history - and will be changed again at the return of Christ, when He establishes the millennial kingdom and the eternal state thereafter. By God’s grace, humanity adapted and will continue to do so. 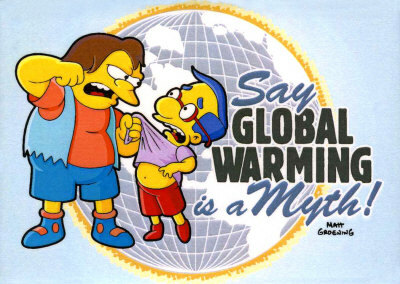 The second myth is that humanity is the cause for global warming. The evidence for such an assertion is minuscule. Scientists do not agree that humanity has exerted any discernible influence upon global climate. Those scientific experts who are most directly concerned with climate conditions reject the assertion that humanity is the cause for global warming by a wide margin. According to a Gallup Poll, only 17% of the members of the Meteorological Society and American Geophysical Society believe that current global warming is the result of greenhouse gas emissions (i.e. carbon dioxide, primarily from burning fossil fuels): 83% disagree. It is true that carbon dioxide in the atmosphere has increased by 28% in the past 160 or so years, but the amount of carbon dioxide generated by humanity is minuscule to any global warming because the majority of the warming occurred prior to 1940, prior to carbon dioxide emissions from human beings. The “greenhouse” metaphor is fundamentally inaccurate for two reasons. Firstly, greenhouses are not notoriously high in carbon dioxide levels; rather, they are characterized by lack of carbon dioxide, which can hinder plant growth. The reason is that the plants absorb carbon dioxide; therefore, adding carbon dioxide to the atmosphere does not make the earth more like a greenhouse, which generally has less carbon dioxide than the outside air, especially in winter months. The presence of carbon dioxide is not what makes a greenhouse warmer than the outside air. Secondly, greenhouses do not function like the atmosphere. There are other aspects involved, such as fluid dynamics and infrared radiation. A greenhouse controls fluid dynamical energy drain from the surface by placing something like glass or plastic above the plants, which allows inbound solar radiation to pass through the glass or plastic, but air cannot. If the flow balance between dynamical energy and infrared radiation is halted, then the greenhouse is heated. Greenhouses are not warm because they trap infrared radiation, but that is the issue that global warming advocates want the public to believe. It is simply impossible to halt the release of energy from the earth through fluid dynamics. Greenhouses are controlled to produce certain heating, but the planet is not. The Earth cannot and never will be a greenhouse because it is impossible to control fluid dynamical flow. To assert otherwise is not science, but religious faith. The third myth is that government must intervene to stop global warming. The idea behind this myth is that the consequences of inaction will be catastrophic; therefore, prudence demands immediate government action. There is no scientific consensus that global warming is a problem or that humans are its cause. Even if current predication of warming is correct, delaying drastic government actions by even 25 years will make little difference in global temperature 100 years from now. Proposed treaty restrictions would do little environmental good and tremendous economic harm. Conversely, delaying action until there is more evidence of human-caused global warming, and better technology to mitigate it, is both a positive environmental and economical response. Government attempts to control so-called greenhouse gas emissions are vacuous and unnecessary. Nevertheless, there are state governors demanding carbon dioxide emissions limits on automobiles; there are major cities demanding mandatory carbon dioxide controls; the Supreme Court recently declared that carbon dioxide is a pollutant that may need to be regulated; with the exception of the United States and a few small countries, every industrialized nation has signed the Kyoto Protocol; and, there are persistent international demands for even more rigorous regulations when the Kyoto Protocol expires. It seems, though, that some global warming advocates are not so serious with regard to anti-warming policies. For example, one feature of the Kyoto Protocol is called the Clean Development Mechanism. As defined in Article 12 of the Protocol, this mechanism “allows a country with an emission-reduction or emission-limitation commitment under the Kyoto Protocol to implement an emission-reduction project in developing countries.” What this means is that a carbon dioxide emitter (i.e. an energy user) is allowed to support an unconvincing reduction scheme in developing nations in exchange for the right to continue emitting carbon dioxide. For those countries that have ratified the Kyoto Protocol, the Emissions Trading mechanism allows for them to sell excess capacity to countries that have exceeded their targets. In many situations, the initial quota was simply given by governments to power companies and other entities, which then collected a windfall profit from consumers. It should be obvious that these policies result in tremendous finances for those involved. However, these schemes (even in theory) are simply fraudulent because they do not reduce total carbon dioxide emissions. It is also noteworthy that there are direct benefits to tens of thousands of interested people to perpetuate all the global warming scare tactics; this, of course, is at the expense of the ordinary consumer. Global environmental organizations, such as the Environmental Defense Fund, Greenpeace, and the Sierra Club have profited billions of dollars. There are multi-billion dollar government subsidies, which are continually getting larger, for ineffective and ineffectual mitigation schemes. Emission trading programs will soon generate profits of $100 billion yearly, with sizeable fees paid to brokers and those who regulate these programs. Certainly you, the reader, are intelligent enough to understand that there are many individuals who are benefiting from climate scare tactics and who obviously have an ensconced interest. The reverse is also true, though. There are many sincere individuals who believe that a global warming catastrophe is imminent, and whose fears are encouraged by the increasing volume of biased and prejudiced books, movies, and media coverage. The fourth myth is that global warming caused by humanity will culminate in cataclysmic environmental problems (e.g. higher ocean levels and increased hurricane activity). Although sea levels are increasing globally, it is not uniform. Sea levels have increased more than 300 feet over the past thousand years, which is a natural phenomenon in between ice ages. Contrary to global warming predictions, the current rate of increase is slower than the average rate for the past thousand years. It is common knowledge that tropical storms are dependent upon warm ocean surface temperatures (a minimum of 26 degrees Celsius) and an unlimited supply of moisture. The reasoning is that global warming is the cause of increased ocean surface temperatures, and consequently an increased uptake of moisture and therefore destructive hurricanes. With regard to a supposed increase in hurricane activity, the scientific data does not indicate any increase in the number or severity of tropical storms. It is important to recognize that other factors such as wind speeds at various altitudes are also conducive to hurricane activity. There are variations other than warming. Are there other effects of warming? If a minimal atmospheric warming occurred, the effect would be primarily upon nighttime temperatures, which would lessen the number of winter nights and extend the growing season. Actually, as already stated, scientists believe that global warming would be beneficial to agriculture, because historically warm periods have been most conducive to life. The fears of a global warming apocalypse are invalid. Therefore, hasty and ignorant legislation must be recognized as a political agenda. However, also consider the logical contradiction among global warming advocates. We are told that human beings are no different than any other life form, and therefore we certainly are not superior. Conversely, we are told that humanity is superior and capable because we can study and predict climate change, and can halt the end of the world. The evidence of science and history is not in favor of global warming. The more that individuals understand the information presented in this article and communicate the actual facts to others, the myths of global warming will subside. The response of the church must not be apprehension; rather, it would be good to sing the children’s song, “He’s Got the Whole World in His Hands,” because this truth is communicated throughout Scripture, especially in Isaiah 40. The answer is no human being. God, however, does these things!